It doesn't take a BIG donation to make a BIG impact! 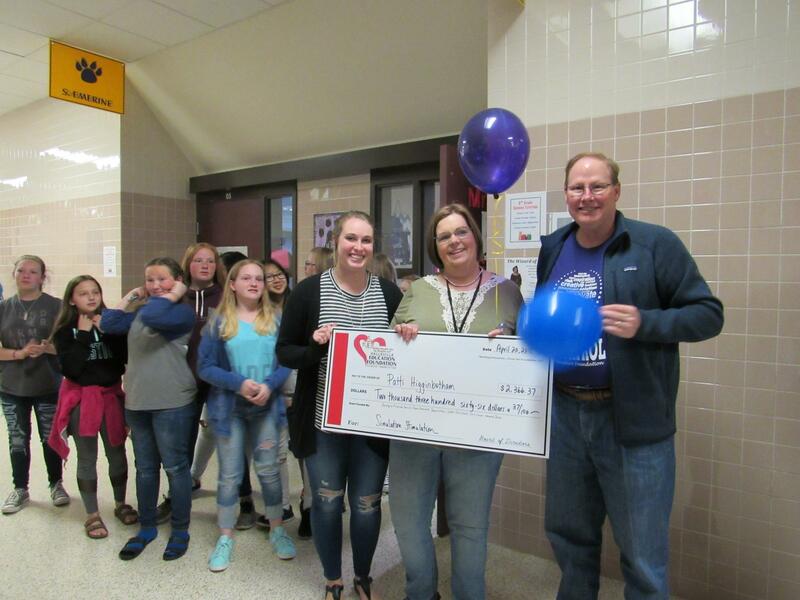 Your donation to the Hallsville Education Foundation Employee Giving Campaign is bundled with other Hallsville Education Foundation donations to provide significant funds for grant awards. 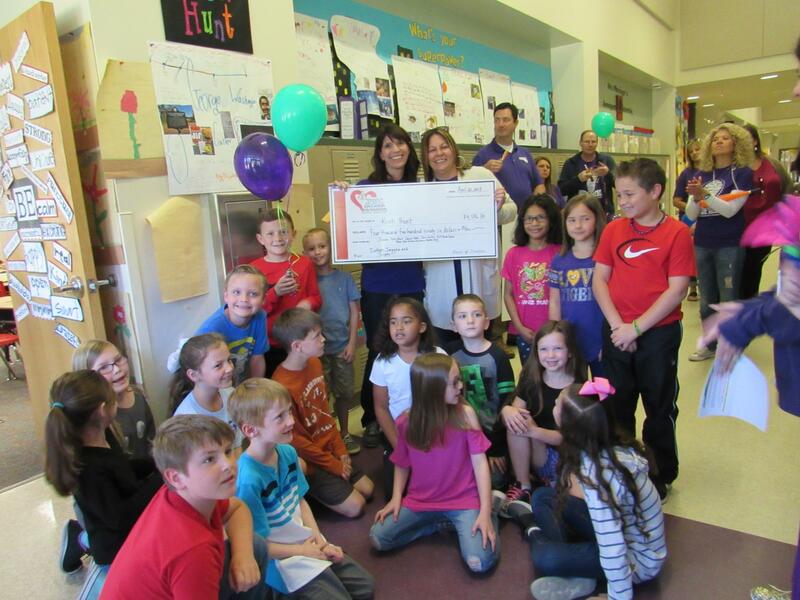 All awards benefit Hallsville ISD students and teachers. Every dollar donated through the Employee Giving Campaign is directed to the classroom. Through grant awards, teachers can secure tools they need to make learning come alive for students. 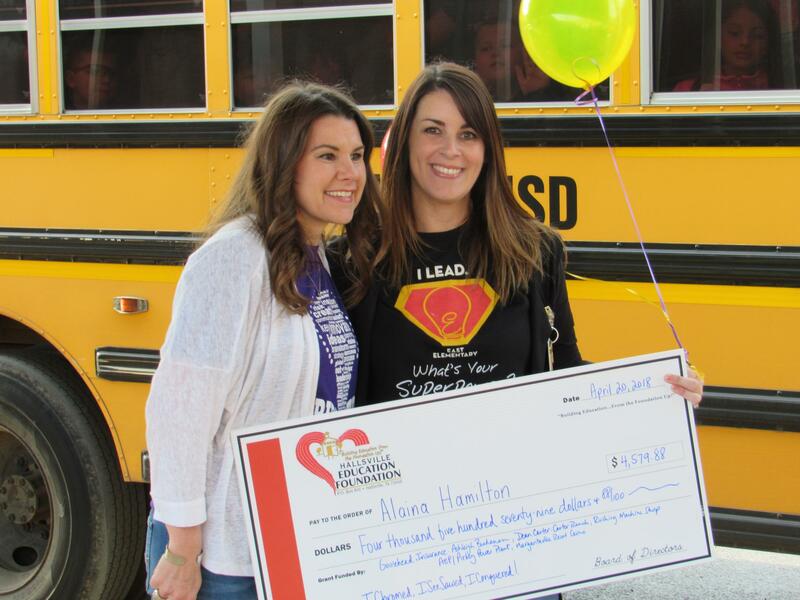 The Hallsville Education Foundation provides a powerful means to support and sustain the district's vision to provide all of its students with a remarkable education. Throughout the month-long event, donors will be randomly chosen to receive a $5 or $10 gift card to various local businesses. Each employee who donates $100 or more will become part of the "Cornerstone Club" and will receive an L-shaped plaque that fits on their classroom/office door frame. Each employee making a donation of $100 or more will be in a drawing for $100 ($1,000 will be awarded). $50+ donors entitles you to recognize someone you think is doing an excellent job. $50+ donors will be sent a nomination form with nominee's name and campus. All nominees and nominators, if desired, will be listed on our website. At the end of the appeal, we will draw 2 winners that will each receive $100 for their classroom from the Foundation. The campus with the highest percentage of participation will receive a "Woot Woot" cart filled with snacks, drinks, maybe even some technology item(s). To initiate a donation through your paycheck, complete the online form below. The donation will be deducted from your paycheck for 10 months, beginning October 20th. please use the one-time gift donation button below. For a printable Employee Giving Campaign Payroll Deduction Pledge Form, click here. Our campaign officially ended on September 30 and we are happy to report that 451 employees made pledges totaling $12,097.50, compared to last year with 381 employees pledging $11,176.10. Several campuses reached 100% participation and were awarded Jeans for the Week (the week before Thanksgiving Break. Those campuses/departments reaching 100% are: Business Office, East Elementary, High School DAEP, High School Spec Ed Department, Intermediate School, Junior High School, Special Ed Department, Special Programs Department. Something new to our campaign this year... Employees who donated $100 or more were awarded a tshirt to wear the 1st Monday of each month on @HallsvilleEdFdn Day. Another incentive this year was the Woot Woot Wagon. The campus reaching 100% participation received a Woot Woot Wagon full of goodies. There was tie for reaching 100% participation first: East Elementary & Junior High School. Congratulations!